There are no classes scheduled at present. 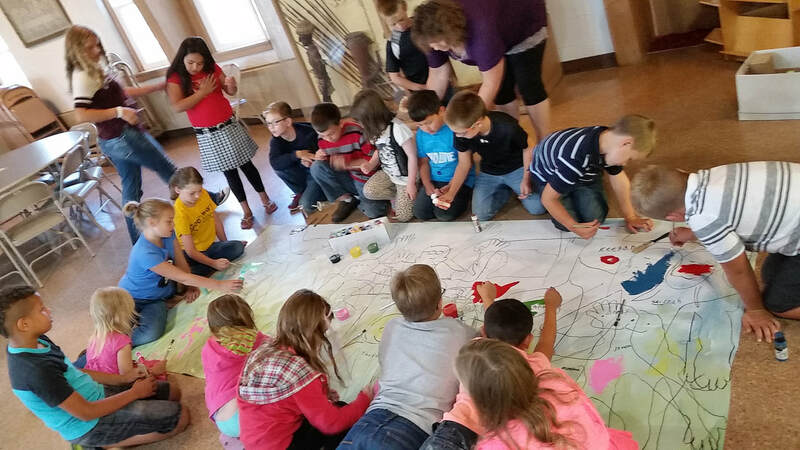 Classes typically are scheduled in autumn months. Check with the Luna Fiber Artist Facebook page for the most current class listings. 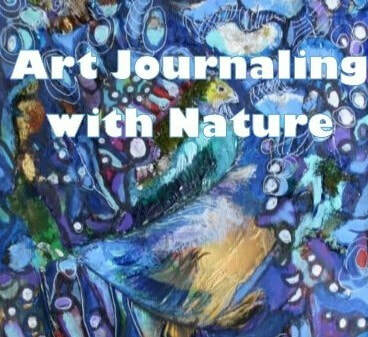 Kris teaches art journaling classes focusing both on intuitive process--revealing meaning from within and also specific techniques. She teaches at local venues and will do custom classes for groups of seven people or more. She also teaches the type of torn paper collage she does in her studio work. 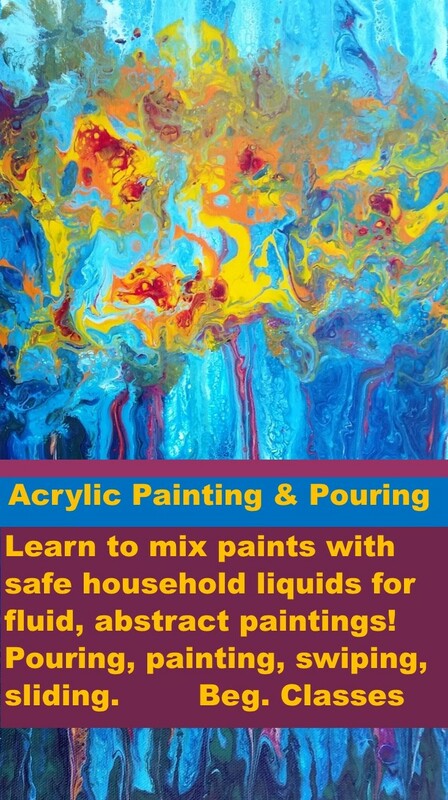 Create one-of-kind abstract paintings mixing acrylic paints with safe, house-hold liquids. Different paint colors have different "weights", which when gently blended, producing swirling, unusual patterns. 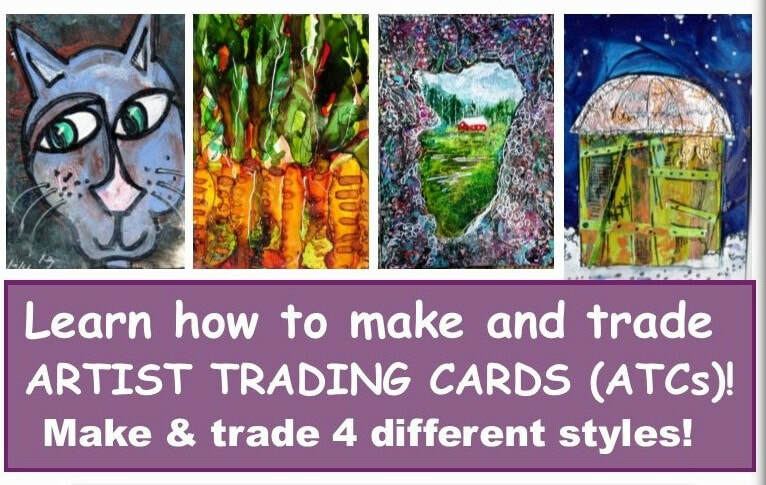 Learn different techniques to control the flow, pattern and movement of these paints for beautiful, creative paintings! Kris exhibits her work in several venues: The Left Bank Art Gallery, McGregor, IA; Plum Creek Art Gallery, Fredericksburg, IA, Art & Frame on Main, Marshalltown, IA; and online gallery, Rural Route 1: Art & Design, Strawberry Point, IA. Kris is a member of the National Collage Society and was featured in the 2015 Juried National online show for Big Boxer, a 24"x24" torn paper collage painting on deep wood panel. 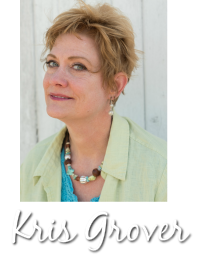 Kris is a member of Clayton County Artists and Central Art Association. She is affiliated with the American Craft Council and Surface Design Association. Co-Founder, Art in the Park Fine Art Festival, Elkader, Iowa. Established 2015.